I’ve definitely admitted to my glass jar/bottles hoarding collecting on the blog before. For proof, just see these St. Patrick’s Day jars, these Halloween jars, these snowmen jars, these liquor bottle soap dispensers, these spring jars, these Fourth of July jars … whew, okay actually that list wasn’t as long as I was imaging it would be. Well turns out it’s a wonderful personality trait that all crafters and bloggers’ husbands adore about their wives. Oh, wait. 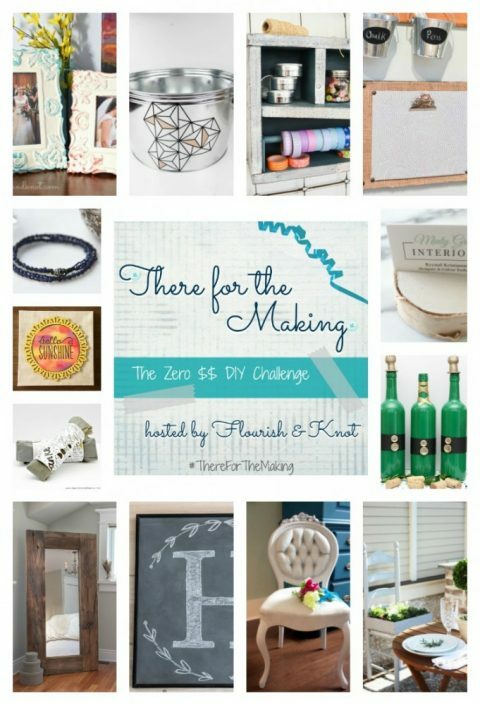 To help clear out some of our ‘treasures’, Sarah from Flourish & Knot is starting a new blogging series, The Zero Dollar DIY Challenge. Every other month, a group of us will come up with a DIY project using ONLY what we already have in our house. Well between my basement ‘storage’ for future projects and all of the crafting supplies I have in my craft closet, I could probably put together about 5,000 blog posts for this challenge. Scroll down to the bottom of this blog post to hop over to see the other bloggers’ projects. We’re in full on St. Patrick’s Day mode around here (of course!! ), so I’m starting with a festive St. Patrick’s Day DIY. 1. 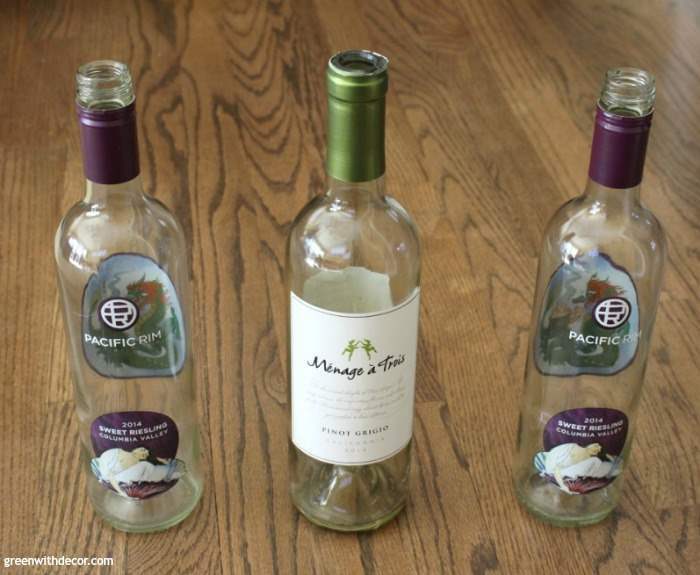 Take the labels off your wine bottles. I’ve gotten a few questions about the best way to do this. 2. Spray paint the bottles. I gave them two coats. Let them dry. 3. Use painter’s tape to tape off a ‘belt’ for your leprechaun. I even brought a ruler downstairs with me so I could make sure the belt was in the same place on each bottle and then immediately abandoned that idea and just eyeballed it. I set the buttons on the bottle for placement and went with it. 4. Paint on the black belt. I used a foam brush for this, it was one of those quick painting things a foam brush was perfect for. Then take the painter’s tape off. 5. Glue your champagne corks to the wood chips to make a leprechaun hat. You could use regular wine corks, but I think the champagne corks look more like little hats. Honestly, I don’t even drink champagne (hello, headache), but our neighbor does, and he knows me so well, he saves wine corks for us (me). Love good neighbors! 6. Paint the buttons gold. I mentioned my button collection when I made these Christmas tree cards. Hey, at least I’m finally doing something with the buttons after saving them for all those years! Since we had to use paint we already had for this challenge, and I didn’t have any gold spray paint on hand (I know, shocking, considering the spray paint collection in my craft closet), I went with this gold paint I had, which meant I needed to use a brush. I really like this gold paint though so I’m okay with it! I put gloves on to hold the buttons/corks just so I wouldn’t end up with paint all over my hands. Note, I’ve gotten this gold paint on my hands during previous projects, and it does wash off easily. Let it all dry, touch up any spots you missed and let it dry again. 7. Glue the buttons onto the black ‘belt’ and the hats to the top of the bottles. For one of the bottles, I just used a little rubber cement to glue a gold ribbon on like a scarf. Apparently this one is a girl leprechaun. Three less bottles and a little less paint in my collection. Kalen is thrilled. Remember to check out the other ladies’ There for the Making projects! These are so fun! Perfect for St. Patty’s Day! These are super cute! Its funny but I have started collecting bottles too. There are so many ways to use bottles and jars.The best part its free. Thanks, Maria! I have waaaay too many bottles and jars around here! What a fun craft idea! So great to meet you in this blog hop too! I have a collection of wine and other bottles under our kitchen sink… my hubs is less than thrilled about it 😛 (in my defense, I was only trying to help out my SIL when we were gathering bottles for her wedding centerpieces last year). I love your leprechaun trio of bottles! So cute! Mine starter under the sink and moved to the basement because it kept growing… I think hoarding (collecting) bottles for a wedding makes PERFECT sense. HAHAHA “forced to drink in the name of crafting” – I LOVE IT! 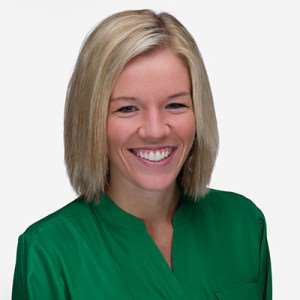 I think we should be friends in real life, and not just in the blogosphere. 🙂 I love your wine bottle makeover! Thanks, Dani! Haha, of course!